Living in Tokyo, I don’t intend to cook at all so I’m basically thinking of my next meals all the time. Too tired tonight so dinner was just a croissant. But I still have to do it in style — it’s not just any croissant but the chocolate espresso almond croissant from La Boutique de Joel Robuchon which I’ve been eyeing for the longest time. Ok, and also because the bakery is only 5mins walk from my apartment. I heated it up in the microwave (should I be doing that to croissants??) and the chocolate coffee filling inside got all soft and melty. Bliss. Haha only have microwave in the apartment! Does microwaving make it less flaky? By the way, there’s also a seasonal chocolate orange croissant now! Looks good! 2nd time at Coconut Club and it’s still as good! Today I had the asam pedas with snapper instead of the fried fish, and we also tried the sambal okra (which I prefer over the sambal long beans). Of course couldn’t leave without the kueh salat!! They even threw in a refreshing coconut pudding on the house, win. Hi! 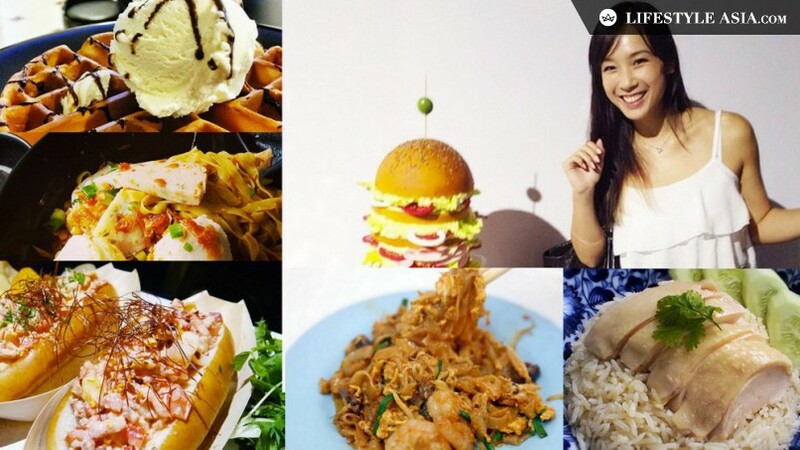 I'm a Singaporean girl living in Tokyo and I happily spend all my money on food. Because food is life.